eHealth Saskatchewan is a strategic and foundational partner in the transformation of the Saskatchewan healthcare system. It facilitates development, coordination and use of information and technology to support continuing improvements in healthcare delivery across the province of Saskatchewan by linking together health information and systems to better meet patient healthcare needs. The goal of the project was to meaningfully improve efficiency, quality and safety within the healthcare delivery system. Though eHealth Saskatchewan had existing data repositories for pharmaceutical, chronic disease management and general health, the development of the Citizen Health Information Portal (CHIP), was a step toward its mission of making consolidated data available to all citizens. The initial engagement was a six-month pilot to provide electronic access to more than 1,000 citizens in the province of Saskatchewan utilizing TELUS Health’s Personal Health Record (PHR) Solution, powered by Get Real Health’s InstantPHR® patient engagement platform. This pilot phase also included integration with the Saskatchewan’s provincial health registries to provide users with the ability to view selected data elements such as prescription, laboratory, clinical encounters and immunization data in their electronic records. 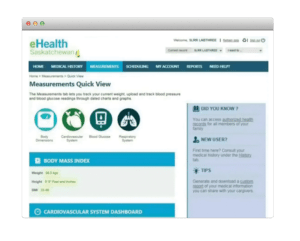 CHIP participants could not only access their files through a highly secure, personalized login, but also add medical information to their personal profiles, such as health metrics or reminders to take medication. Participants could also view their children’s healthcare information and invite their doctor or other healthcare provider to view their profile. 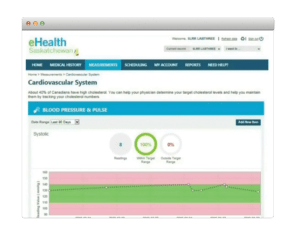 This solution provided patients tools to engage in their health to generate positive health outcomes. This example showed InstantPHR’s flexibility to serve a broad demographic without sacrificing the efficiency, effectiveness and usability of the solution.